2014 was an interesting year for search engine marketers. There were 13 major updates that took place in Google's algorithm, some of them most known where several Panda updates, "Payday Loan", Google Authorship and the most recent Penguin 3.0. There are been rumors of people panicking and saying that Google is out to kill the SEO market. Which is of course not true. Google constantly is trying to keep the honest people honest and to give their users the most relevant content available. If you have been in search engine marketing for a couple of years and have followed the current link building strategies, you will understand that there are some politics that go into when and why Google tends to release some of their updates. Never the less we as individuals have to be ready to evolve and think out of the box to some of the backlinking techniques that are no longer as effective as they once were. When Panda was first introduced this was the first thing marketers jumped on and to this current day it is still proclaimed to be once of the best and "safest" ways to build backlinks. This is one way to control who you want to post your link. In most causes you can control what the anchor text is and you can make sure it is coming from a relative reliable source. For the webmaster that offers this type of service also helps their site have consistent updates to their infrastructure, unique content to their readers and also gives them the power to possible rank for a desirable keyword. There are some that believe these links will become less and less of a ranking factor. This could be one of the methods that Google might start devaluing for backlinks in the future. The problem with this theory is how Google can decide what is a Guest Post and what is a Unique Post. Whatever the future holds it will come down to the value of the website as a whole. If the site is bad, the Guest Post will be bad. If the site is an authority figure, the Guest Post will stand tall. 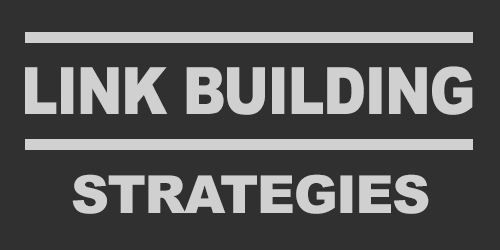 Broken link building is a sure way to not only give yourself a nice backlink, but it also helps build your relationship outside of your regular readers. If you are not sure how this Brian Dean from Backlinko strategy works. It simple goes like this, you find relative sites that have resource links, recommended links or just a list of links on relative site like your own. You take the list and hope that one of them are a broken link. Once you find one of these gems you simply write the webmaster an email telling them that you were checking out their awesome site when you notice they had a broken link. Mentioning in the email that you have a similar site and you could add yours in place of the broken one. Most of the time webmasters are usually grateful for you letting them know, and will almost all the time give you the spot of the broken link. This can be scaled to as big as you can dream. Regular websites, blogs, education sites and some government sites. There have been numerous articles and posts on how Social Media is going to be the highest ranking factor for Google. Probably not, but it continues to show that it is becoming a major factor in search engine ranking. The chart above from Business2Community shows there is a strong study in Facebook Shares correlating in ranking. Every page on your site you strive to get Likes, Share, Tweets and Plus'. But how do people get these social shares rather than just buying them from a gig on Fivrr? This goes in your direct content marketing column. You must have two things to make this work to it's full potential. First and foremost you must have something to share. Your content has to be unique, informational and must look good. Put some pictures, infographic and maybe a YouTube video. You also need a relevant audience to share it with. It doesn't matter if you have thousands of fans that your bot goes out and gets for you. You must have people that care about what you are writing about and have an interest in your industry. Putting these methods together will give you not only the full potential in getting more social shares to your website. But it will also generate traffic to your website where you can then convert to your product or service you are providing. I wanted to separate YouTube from the Social Media category because users don't necessary interact with your site directly. But why I do want to cover it? Because YouTube is a great source not only for backlinks, but for traffic as well. As search engine marketers we know that if there is a page in the top 10 of Google and is getting loads of traffic. Then you get your link on that specific page. Well it's safe to say that you have a "high quantity" backlink. But what if you can't get a backlink from a top 10 site because they are all evil competitors that wont give you one. Google continues to populate their top 10 results with more media relevant listings, such as videos from YouTube. In some industries it is easier to rank a YouTube video in the top 10 rather than your site. By doing this you are creating a tier link building strategy that gets your YouTube page in the runnings while it passing authority juice to your site. In return, you site will go up ranking. This will become a bigger link building strategy for companies that are looking to squeeze the full potential out of YouTube. By doing products reviews, commercials, or promotions, this gives them an easy way to push backlink juice to their more converting pages. Yes Press Releases are been a backlinking method for the last decade. But they will start to grow in popularity with the increase of Guest Blogging. It is close to the same method, just a different writing method and subject of content. One change to the method is going to be promoting your social media pages in the press release and not your website directly. This gives your news story a more personal approach and will try to influence people to take about the content. This gives your brand more recognition across all platforms. Whether it's Facebook, Twitter, Linked In or Google Plus. If people are chatting about you, Google will pick this up and give you some extra bonus points. It's the same strategy as building your YouTube pages and sending that authority link to your website. These are only five of the most trending backlinking methods that are going to be heading into 2014. Some of you are probably already doing some, if not all of them. For others it might be a new horizon waiting to be tested. One thing to note is that Google is not trying to end search engine marketing. They are simply trying to take a hold of what their main objective is and continue to make webmasters apply those rules to their own website. Whoever creates the game creates the rules.